Woodson Branch, Gary Public Library « James Douglas Smith, AIA, R and B Architects, LLC. Woodson Branch Library, Gary Indiana (formerly the Wildermuth Branch) is a 14,000 square foot area facility providing adult and children reading areas, community meeting rooms, special children’s areas for story telling, a puppet theater and an aquarium. The very unusual design was a collaboration of our firm and award winning Harry Weese and Associates. Total construction and furnishing budget was $3,000,000.00. The shell construction is steel framing, brick and concrete block walls. Roofing is a combination of standing seam metal and EPDM. Interior finishes include exposed brick and decorated drywall. 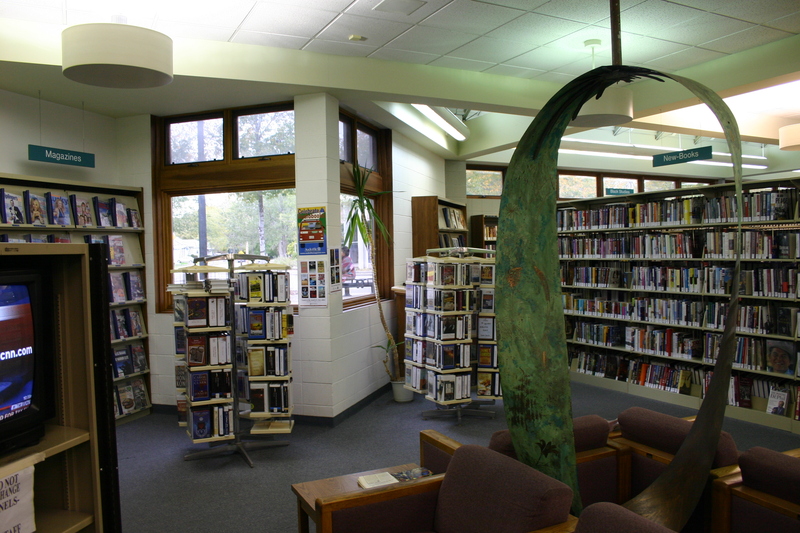 This is a partial view of the adult reading and book stack area.